Retired judge Steve Nation has spent his career trying to help others, particularly children. As a founder of the Hamilton County Youth Assistance Program, Nation also gave back in his courtroom, where he spent 24 years working on a variety of cases that came through Hamilton County Superior Court 1, from mental health, adoptions and paternities to estates, contracts, torts, criminal and juvenile cases and other legal matters. Earlier this year, Nation said he was shocked when he was recognized by Hamilton County government officials with the county’s highest honor – the Hamilton County Continental Award. He was even more shocked to learn that a trail project in the northern part of the county and Noblesville is to be named after him. Both honors were unveiled at January’s State of the County address. “To get me there, because this was the state of the county address, they had told me through my wife that the commissioners were going to get an award and they wanted me to be there for them,” Nation said. “I attended and was sitting there with the commissioners not thinking that much about it, and all of a sudden they said they wanted to give me the county’s Continental Award. Then, shortly after, (Hamilton County Commissioner) Mark (Heirbrandt) got up there and said when they were discussing (naming the trail), they decided they were going to name the trail after me. “I was just very appreciative of that. You do things not thinking of anything you might get, you just do it because the people needed it. Nation, 69, said he plans to make full use of the trail. The Steven R. Nation Nature Trail will extend from downtown Atlanta through Cicero, east to Cumberland Road, then south to Potter’s Bridge Park in Noblesville. There also will be an arm of the trail that will connect to Strawtown Koteewi Park on 234th Street in Noblesville. Hamilton County Commissioners are exploring ways to fund construction of the trail. Family and children are popular conversation topics for Nation. He said his mother wanted him to become a social worker, which he says he tried for a couple of weeks but always went back to law. The Steven R. Nation Nature Trail will extend from Atlanta south to Potter’s Bridge Park in Noblesville. Nation is a native of Beech Grove. 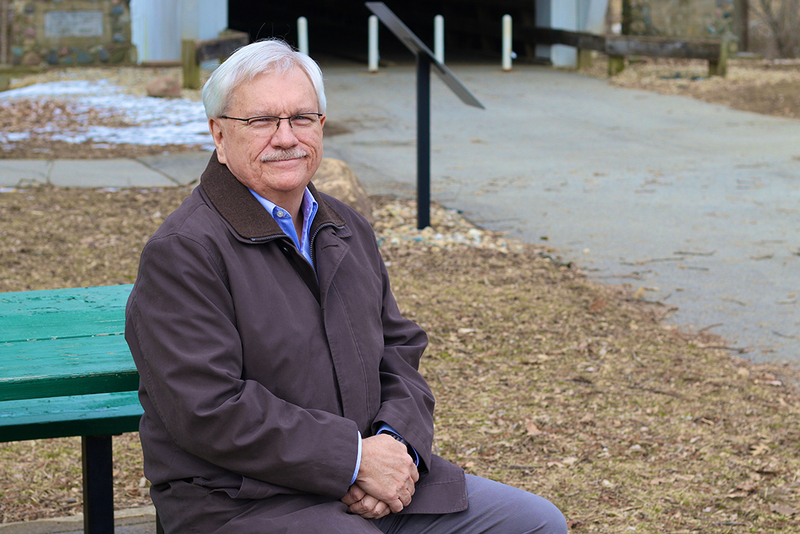 He first arrived in Noblesville in 1976 after he began working in the area as a legal intern in the Hamilton County Prosecutor’s Office under then-prosecutor C. Donald Dawson during his last two years of law school (1974-75). From 1975 to 1977, he spent a short time working as a junior lawyer at a firm in Marion County, but in 1977, he returned to Hamilton County as a chief trial deputy. From that point, his career took off. He was elected prosecutor in 1979. He served 16 years before seeking the Superior Court 1 bench, where he served 24 years as judge. Nation admits retirement has been different but he remains busy. “I have always loved and been involved with youth assistance and certain programs at the jail, mentoring programs for the prisoners. I would do those things, and in addition I would handle the 3,000 pending cases I had in front of me,” he said. “Now, I don’t have the 3,000 pending cases, but I’m still involved in mentoring programs. I’m also working with a couple people on figuring out how to help people with addictions, rather than just going to the criminal justice system. I’m also working with a group of people for retirement programs. A lot of people in our county are retired, but they don’t do anything. “Westfield had just been converted from a town to a city, and Mayor Andy Cook has been dealing with occurrences where he would come in contact of kids who were not thinking about college or their careers,” retired judge Steve Nation said. “He and I started talking about this through my church pastor, and in 2009, we started really talking about it with the schools. Eventually, we got the youth assistance statute passed and signed into law in 2011. It passed unanimously out of the (Indiana) house and senate. It was one of the three bills that year that Gov. Mitch Daniels had a public signing on. That bill created the Youth Assistance Program, which has since expanded from Westfield to Noblesville, Carmel, Fishers and Sheridan. Now, there’s a chance the program could be further expand. Senate Bill 596, if passed in the Indiana General Assembly, will allow the Indiana Supreme Court to expand the program to other counties. Specifically, the bill would create pilot projects in five counties across the state to offer services to those who need it before kids or their parents or guardians enter the criminal or civil justice system. “It doesn’t make much sense if you’ve got a kid that’s trying to find out about a career to require them to commit a crime before we can start rendering those services,” Nation said. Nation said the five pilot project counties would be determined after the bill is passed.